On September 11th, there was an excellent concert held on the campus of the London College of Music. There were performances by Tim Blackwell, Alexandre Garacotch and Vincent Merienne, Howard Moscovitz, Niles Joker, and Roland Kuit. We have short video clips of the performance by Niles, and Kuit. In this article, I review some of the works presented at the concert. (Links to the avi files appear later in this article.) I will review the papers and presentations, especially the Nord Modular G2, in another article. Tim Blackwell's, Swarm Music, was quite fascinating. Tim writes, "Swarm Music produces musical improvisations with a swarm of musical events. It does this by exploiting the self-organizational properties of swarms. The musical events organise into a swarm-like shape to produce melodic, harmonic and rhythmic patterns." This work is based on research on swarming animals (fish, birds and insects) which reveals that swarms can be simulated when each individual follows a few simple rules like: "avoid collisions", and "match your velocity with your nearest neighbor". 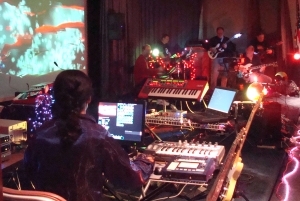 Blackwell has developed computer programs that listen to live music being improvised and play along using algorithms based on swarm-like rules. Thus the computer plays along matching the live performers tempo, key, volume, articulation and other observable musical parameters. During the performance a screen showed a graphical representation of "the swarm". The green triangle in the center represented the live musician, in this case a vocalist whose name I didn't get. There other figures represent the artificial instrument which move around in the musical parameter space in reaction to the singer. The effect on the listener was one of fascination; surprisingly musical. For more information and some sound samples, check out http://www.timblackwell.com/. "Circuit-bending is an electronic art which implements creative audio short-circuiting. This renegade path of electrons represents a catalytic force capable of exploding new experimental musical forms forward at a velocity previously unknown. Anyone at all can do it; no prior knowledge of electronics is needed. The technique is, without a doubt, the easiest electronic audio design process in existence. 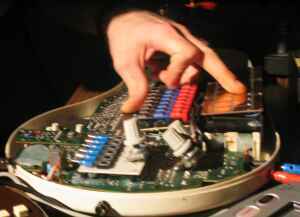 The circuit-bent instrument, often a re-wired audio toy or game, is an alien instrument: alien in electronic design, alien in voice, alien in musician interface. Through this procedure, all around our planet, a new musical vocabulary is being discovered. A new instrumentarium is being born. [See http://www.oddmusic.com/illogic/index.html ]"
Joker has "bent" both the Texas Instruments' Speak and Spell (a 70s game which featured on of the first speech synthesis chips), and the Suzuki Omnichord, a low-cost electronic instrument that is sort of a modern autoharp. Joker explained that in circuit bending the devices are opened the artist touches the live circuit boards to find sensitive points that when touched can change the sounds. Sometimes variable resistors can be soldered across the circuits. Joker brings wires from the sensitive nodes to special touch sensitive electrodes made of upholstery nails to facilitate playing. The best candidates for bending are circuits that have a large number sensitive nodes. Joker is the first person to identify the Omnichord as a good candidate for bending. Apparently, Omnichords from the late 70s work the best. 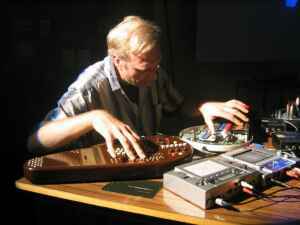 Based on his performance, it the Omnichord turns out to be a good candidate indeed. Roland Kuit performed New Proze from The Hague. The performance took place the next day because of technical difficulties with the video projection. New Proze from The Hague is a multi-media work based on a century old novel about The Hague, the city where Roland lives. 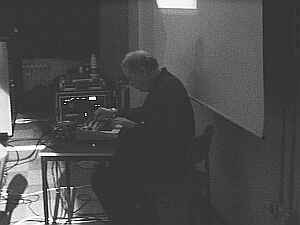 There is a DVD video that Roland accompanies with live electronic music. The music is played by Roland moving in front of a bright spotlight wearing several photo sensors. The signals from the sensors are used to generate MIDI control information for a single Nord Modular synthesizer. The patch on the synthesizer is aptly called the virtual throat. The piece is very abstract, probably more so to me because I didn't understand the Dutch narration on the DVD. You certainly don't need to know Dutch to enjoy this performance. Almost immediately I could notice the Roland's movements were directly controlling the music. Sometimes his movements appeared to be a dramatic gesture in response to the sound. I found this captivating. The sounds themselves were sometimes quite grungy and other time very guttural. The effect was quite evocative. 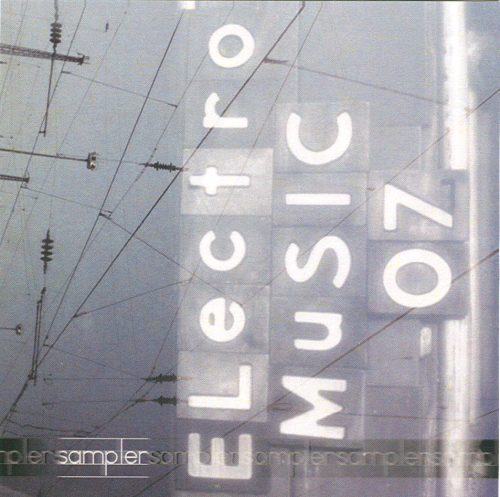 A short avi file can be found here: http://electro-music.com/avis/roland_kuit-1.avi. I performed a solo improvization on the Nord Modular call Impromptu. I won't comment on my own performance except to say that it was a delight to play my music in London for such a kind and appreciative audience. Maybe someone who was there may have something to add. I'm sure that in this article I got some facts wrong, or left someone out. Please feel to add comments, corrections or whatever as replies to this topic on the forum. I look forward to next year's Modular 2004 Conference, rumored to be in Barcelona.